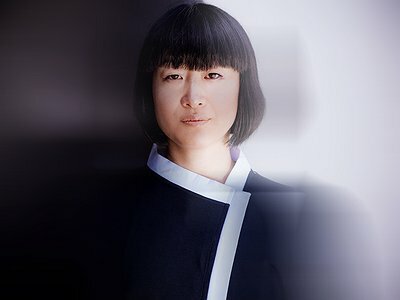 Website: If you enjoyed this interview with Hito, check out her Facebook profile for more information. This interview is part of new series of in person conversations based more loosely on the 15 Questions concept, allowing for more personal and open questions. I played at home in Japan as a kid. But it wasn't professional. I just played for fun and for some people at university. I certainly wasn't focused on being a professional DJ. I was really into hip hop in the beginning. I basically grew up with hip hop. It wasn't really connected to techno. If there was any music in the direction of dance music, it was more Eurobeat, I would say. Really famous, commercial stuff (laughs). At university, I got more interested in breakbeats. I also followed UK Indie music once in a while. I was following the trends that were coming over from the UK. So when something new came over, I would follow that and listen. My first gig as a DJ took place in a very small, container-style club in Japan. In such a place, you can really express any kind of direction. The city I come from isn't very big and it's a historical place, so the clubs are smaller and more intimate. It's certainly not like Berlin, there's not a lot happening. What this means is that the experience depends less on the music and more on the people. I was 18 back then. In 1994, I visited the Goethe Institut to study German. By then, I had already been studying German language and literature at the university in Japan. I went to some clubs in Munich and was impressed by the music, but it wasn't so much techno. There, too, it was more about the breakbeat scene or something in between breakbeats and house. I think clubbing was a lot easier at the time then it is now. You could really go everywhere. I was a student and simply followed some people I met on the street. I was there just for two months, improving my German, so when I came back I did not expect I'd be living in Berlin in the future (laughs). I had no idea. I came to Berlin in 1999. It's a funny story, actually. I was with some friends and we were playing music together on a DJ tour. And we really wanted to go to London. But we had a stop-over in Berlin and then decided to stay a bit longer. So the first time was one or two months. But we couldn't stay any longer, so we went to Poland … When we came back again, it hit us how fantastic Berlin was. There was so much on, you could go anywhere, there were clubs and museums everywhere. You could come back home, cook some food or have a piece of bread and go out again. The city was more casual, not chaotic, in-between somehow. There was a lot of freedom. I'd met some people before, when I'd been over in '96, so when I came back, I stayed with some of them, who lived in Mitte, which was the main area back then. I then lived just around the corner from where I live now. So there were many coincidences and I was lucky. Berlin helped me a lot. I had more of a connection with house first. Or rather, experimental house. I had a friend, who played at Maria – a very, very old version of it at the Ostbahnhof. I was invited to play in between sets, just for fun. So I had some records and some MiniDiscs, which I used to save music on a lot. I played a lot of different stuff and everyone was really happy and enjoyed themselves. I recently met Benjamin / Ben de Biel from Maria again and we both remembered everything about that time. I am still very happy and satisfied about it. For me, beatmatching is still challenging (laughs). I play vinyl only, I don't use Traktor. Actually, I do know how to play it, but it's not my style. I'm not against it, either, it's just not my way. And beatmatching is simply the most technical aspect of vinyl playing (laughs). People accepted it so quickly. For me, DJing was foremost a tool to deliver a message with the music in my way and with my selection. For me, it's still a challenge using vinyl. Physical records are getting less and less and maybe that means that I don't have any super updated tracks. But still there is a company that presses both and I can get the tracks there. With some of the new tracks, I may get them earlier than other people. Sometimes, I will have them pressed, I have some people who can do the mastering. But it's very expensive, so I can't do it that often. My schedule is exhausting. I play mostly every week, Friday and Saturday. And in the Summer season maybe three times. I take just one day completely off. Like today, it was just an easy chill day for me. But still, this is okay. I just want to come back, remain at home, cook and eat my handmade food. That's something you can't do on tour, most of the time. And when I'm home, I immediately wash my clothes (laughs). It's more about down to earth things then. I listen to the music at home. I do that a lot these days, because I really have to choose. The maximum amount of records I can bring is 45-50. But even if I play 3 or 4 hours, that's okay. If there's a good record shop where I'm playing, I will have a look. But very often, with these local stores, they don't have good vinyl. In Japan it's difficult as well. If I brought back my record collection there, I'd be the best record store in town. Whereas in Germany, in terms of techno, you can get almost everything. Most of the time, I listen online. And I don't only want to play old school tracks. I want to be up to date. Right now, most of the time, I play tracks from between 2015 and 2017. I'm more or less playing all songs from beginning to end. I have to. Simply because some of them are just so beautiful. And then you have to create a flow. Some of these tracks are pretty long, the shortest one is perhaps six minutes, the longer ones can go up to eight or ten minutes. One of Richie Hawtin's Plastikman project is fifteen minutes! Mostly, within 60 minutes, I'll play 15 records more or less. Does this preference for playing records from start to finish also have to do with the idea that the producer created a piece of music with a story in mind and you present that story to your audience? I think it's different for a producer. Sometimes, they'll have a loop of a bass line and a hihat and it just goes on forever. But I can't use it that way, I have to patchwork the tracks one by one. And in the end, maybe, a story emerges. But I wouldn't plan that ahead from the beginning. I would always make it dependent on the atmosphere at the moment. But with these things, I don't really think about them! I will listen to the song I'm playing and then I'll know. I mean, of course, I will listen to 'A“ on my headphones and if 'B' is sounding wrong, or if there's not a good balance or if I feel that these tracks don't match, I wouldn't play it. But I will know the general direction. And I really like the last 30 minutes of a set. When you do sports, you do a warm-up and at one point, you finish. And in between, there is the harder stuff. For the more relaxing parts, I will prepare some pieces, but I don't think about what happens in between. That's really interesting. I have your mix on the first Enter-release and it matches what you're just saying. It doesn't have this typical structure. It kind of moves sideways, it doesn't have these huge peaks and troughs. (laughs) I think it's because I really thought about this: Where are you going to play the CD? Maybe, most of the time, not at home, but in a car. Also, I was really focused on Enter.Sake, because I didn't want to create the same sounds as in the main room or the other rooms. But still, you need a beat. And then, I chose to feature Japanese artists in prominent positions, because of the theme of the event. So the concept was to dedicate the mix entirely to Enter.Sake. I didn't just select which ones I personally liked - iIt was far more conceptual than that. I had this track by Kazuya Nagaya, which was just 'chill', which I wanted to use to close it. And if you repeat the CD after it has ended, it starts again with the piece by Midori Hirano, which is in a similar vein. And if you do that, it doesn't sound like a hard break or a clash. You can simply continue. And to me, that corresponds to the Enter logo of a circle. It's round. "If I brought back my record collection to Japan, I'd be the best record store in town."